New “smart” mixer Drgn, made with “superfoods” including turmeric and ginger, is targeting health-conscious millennials looking to enjoy alcohol as part of a balanced lifestyle. Now available in the UK, Drgn Turmeric Superdrink is available from Sourced Market at an RRP of £1.85 (US$2.40) per 250ml can and for retailers from Wholegood. Additional ingredients of the inaugural citrus-flavoured turmeric-infused drink include black pepper, ginseng, electrolytes such as magnesium, calcium, sodium and potassium, amino acids and fructose. Each can contains 80 calories. The brand claims its ingredients boast properties such as supporting normal liver function, while the vitamins, electrolytes and amino acids can help reduce fatigue and help hydration. The idea for the brand was established in 2012 – the Chinese Year of the Dragon – and was inspired by a “work hard, play harder” ethos. 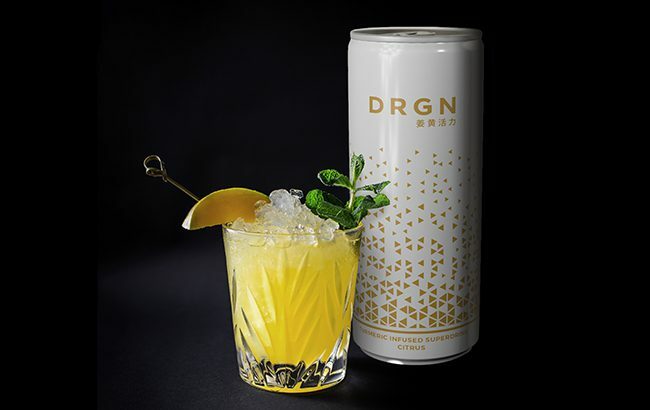 Vishal Sodha, CEO and founder of Drgn Global, said: “There is a growing demand for natural beverages that appeal to different occasions and Drgn aims to fill this gap in the market.